While the entire security world had its attention diverted to CPU architecture problems this past week, a severe vulnerability affecting the enterprise seems to have slipped under the radar, reports Security Now (FinTech Futures’ sister publication). Dell and VMware were both found to have major problems that could allow attackers to hijack enterprise class installations. Digital Defense, a security company, found a series of zero-day exploits that affected the Dell EMC Avamar Server (7.1.x, 7.2.x, 7.3.x, 7.4. x, 7.5.0), the NetWorker Virtual Edition (0.x, 9.1.x, 9.2.x), as well as the Integrated Data Protection Appliance (2.0). These exploits would allow a full hijack of the systems they were supposedly protecting. The fault was laid at the feet of the Avamar Installation Manager (AVI), which is a common component used in the suite. There were three separate bugs identified by Digital Defense. First up was CVE-2017-15548, an authentication bypass. In this, user authentication is performed via a POST that includes username, password and wsURL parameters. The wsURL parameter can be an arbitrary URL to which the Avamar server will send an authentication SOAP (the XML-based messaging protocol) request which includes a username and password. If the Avamar server receives a successful SOAP response it will return a valid session ID, no matter if the response is ignorant of the targeted Avatar server. Next was CVE-2017-15550, where an authenticated user could download a file that is arbitrary. The server runs as root, so it can get to any file the attacker specifies. The third bug (CVE-2017-15549) could take the file that has been downloaded, and write it with root privileges at any location specified. Combining all three of these into one total attack could completely compromise the virtual appliance. First, the sshd_config file could be changed to allow root login. Once done, new authorized_keys file for root could be stuffed in along with, a web shell to restart the SSH service. Since the web shell can run commands with the same privileges as the “admin” user, this allows for a total takeover. Dell has released security fixes to address the disclosures. 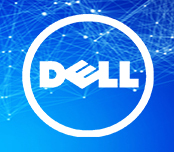 The security advisory can be obtained through Dell’s ESA-2018-001 publication, though it does require Dell online support credentials for access. VMware is likewise affected, and it has also issued a security advisory. This gives the list of patches that need to be applied to mitigate the situation. Though Dell seems to have acted rapidly and responsibly in this case, the actual bug seems to be simple at cause and therefore preventable. Best practices in programming will not allow root level access to files without the associated security checking.